We have in our offers a great price and safe sailing on the Italy coast on our catamarans. Take up you friend and family or business partners and discover the beauty of Italy sea. With us you can rent all model of catamaran in Italy. We have them all in all over the Italy coast and islands. In our fleet we have the most popular catamaran models available for charter in Italy: Lagoon 380, Lagoon 39, Lagoon 400, Lagoon 450, Lagoon 500, Lagoon 620, Fountaine Pajot Athena, Saba 50, Nautitech 441, Nautitech 40, Nautitech 40 Open, Privilege 465 and much more. Catamarans can be chartered from Liguria /Toscana up to Sardinia and Corsica in the cities Naples, Rome / Nettuno, Falcone Sicilia, Reggio Calabria, Tropea, Palermo, Salermo, Arzachena Sardinia, Milazzo, Tonnarella, Portisco, San Vincenzo, Piombino / Salivoli, Furnari and other marinas across Italy. Catamarans in Italy Charter sail on the same principle as all sailing yachts monohulls, but they have a lot more advantages like stability on the sea, security, speed and comfort in the catamaran and out side. Because of its two hulls and two keels, catamarans are extremely stable. 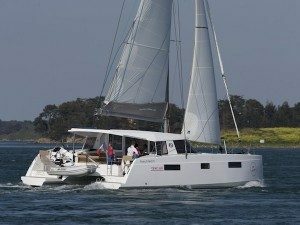 Due to the fact that Catamarans out on the sea sailing have minimal slope, they are an ideal choice to charter for people who do not tolerate ruff sea and the rolling of the boats. Because of this stability, you can enjoy your sailing on the Italy coast. Due to the large sailing area between Italy islands, catamarans are generally much faster then the sailboats and sailing yachts. Because of its twin motors, handling is much easier. All the catamarans are very large, they all have a shallow draft that is ideal for anchorage in beautiful bays on the Italy islands and coast. The catamarans can easily enter in the bays where sailing boats cannot, come closer to the beaches where is less crowded for anchorage. Another advantage of the catamarans is the comfort and the roominess. It have a large central lounge, large cockpit, and all in all a lot more space than the sailboats. We can honestly say that Catamarans for hire in Italy are blend of comfort pleasure of sailing. Because of it twin hulls, catamarans provide more privacy for our clients and also an exceptional views from the saloon. Because of that all the catamaran brings a higher price and related service, more expensive berths in the marinas and harbors on the islands and on the coast. In our fleet we offer you more than 300 catamarans for charter in Italy, we have known manufactures such as Nautitech, Lagoon, Privilege, Leopard, Fountaine Pajot and much more. Catamarans are usually faster then single hull boats. This is due to several factors, the most important of which is the catamaran hull shape. One more great advantage is that they are wider and much spacer than monohulls. 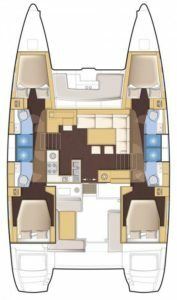 Because of that fact a catamaran interior and deck are much more spacious so you have more room in all places on the catamaran. Since catamarans have more room it creates feelings like you are in the luxury apartment. Heads and showers are separate and also the cabins provide enough room for spacious and large beds. 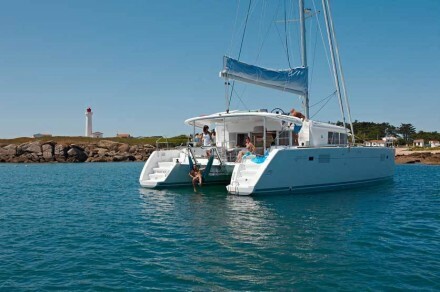 Catamarans are ideal for long cruising in the Italy sea as they are very spacious and comfortable for long time on it. Although the principles, sailing is the same for catamarans and monohulls. Discovering catamaran Italy charter and rentals with CatamaranCharterItaly.com. Price range of the catamarans are between 5,000 EUR up to 20,000 EUR per week. Price range is between 3,000 EUR up to 8,000 EUR per week. Price range is between 2,000 EUR up to 5,000 EUR per week. On every our Catamaran Charter Italy offer you will see the Destination (base) of the catamaran, duration of the charter price, the price of the one week charter, the price range of the charter. 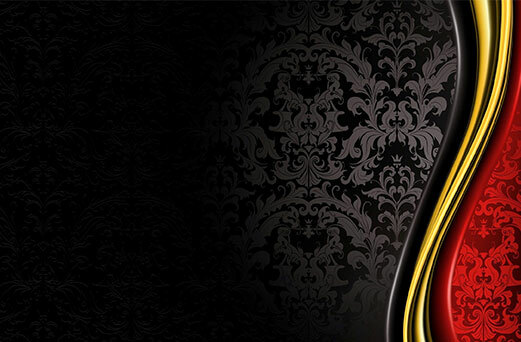 Also you have the fast inquiry where you can send us your inquiry.